These dainty blossoms pretty much represents Japan as it's "unofficial" flower (official flower is the Chrysanthemum) is definitely a gamble for most travelers to catch it at its peak (I missed it once too) but with some research & planning ahead, your chances of catching it would be higher and you won't have to fork out so much on your flight & lodgings as well, so here are some personal travel tips I've learned along the way, hope it may help you with your Sakura viewing quest! Rains can ruin your plans and also speed up the falling of Sakura blossoms as it is a very delicate flower. Constantly check the blooming & weather forecast online to make sure you are not caught off guard, from the time their first buds are announced, it takes approximately 1 week for it to reach its peak (full tree) & lasts another 1 week before falling off; might be lesser than a week if it rains. Also the best time to go is during weekdays so that you won't get caught up the with crowds as well. Imagine foreign+ local crowds together the place would be super duper crowded, that alone may make your Sakura viewing experience not so enjoyable. Remember you can YOLO buy your flights to Japan last minute but catching sakura requires monitoring in advance. 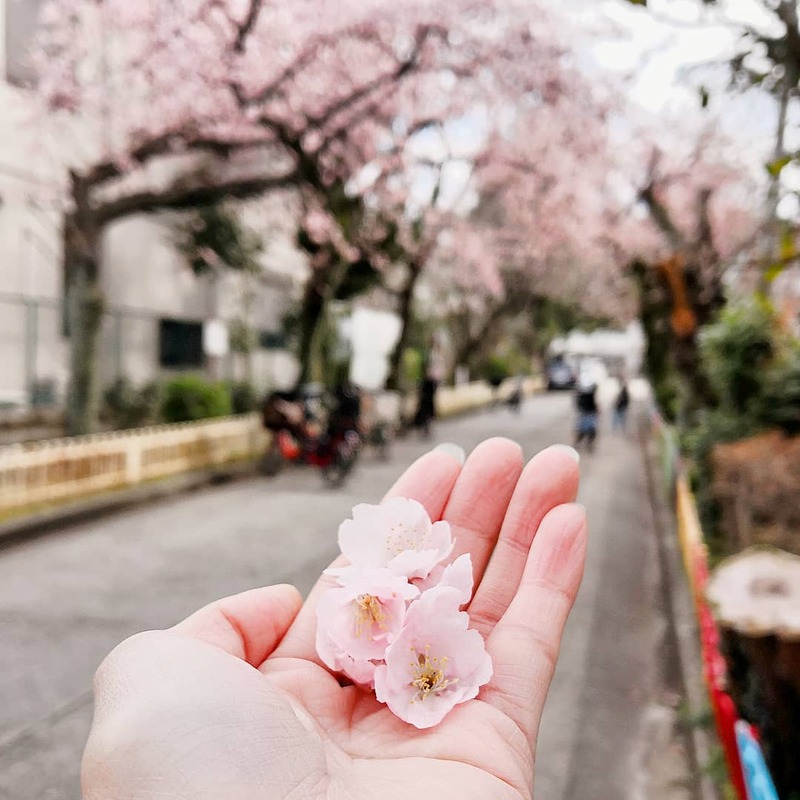 There are many places all over Japan that offers a beautiful sakura scenery and it's not necessarily the ones often hyped by tourists, so skip the crowd and go down the least travel path. It also makes a great opportunity to take tons of nice pictures, just make sure you are not trespassing on someone's land like what happened to the philosopher's tree that got recently cut down by its owner because he found visitors a nuisance. 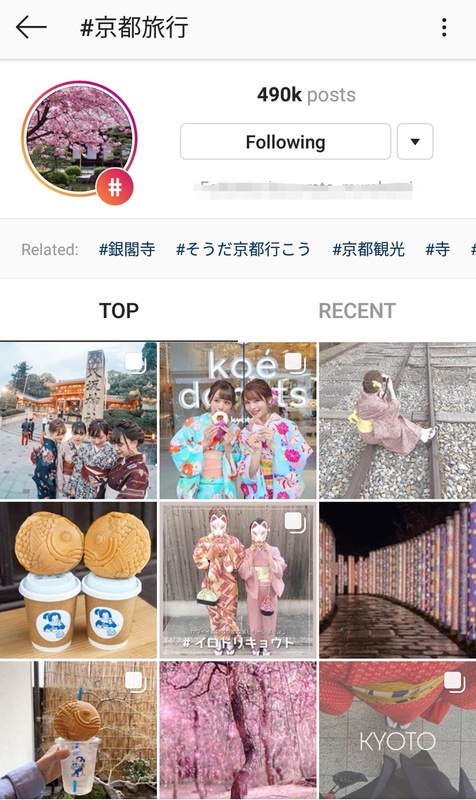 This is how i get my latest updates around Kyoto/Japan lol. 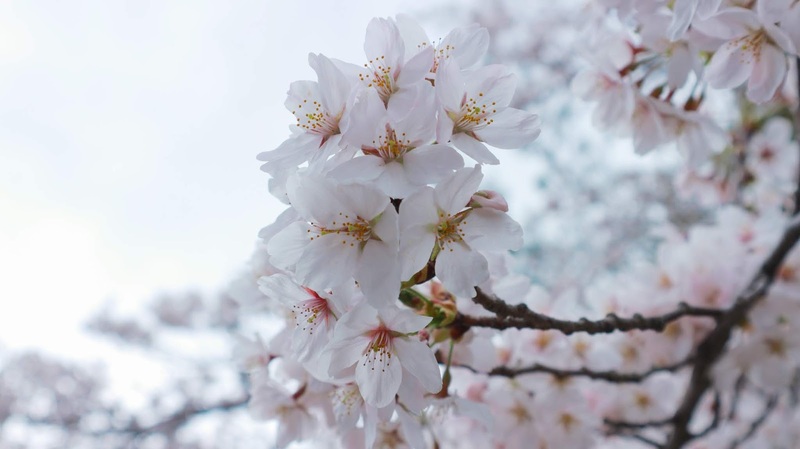 There are about 10 different species all over Japan that blooms on different periods, the earliest blossom is usually Kawazu Sakura, these are darker pink compared to the normal pastel pink (almost white-ish) species we are used to seeing. So if you are here slightly earlier than usual because of cheaper flights, fret not and hunt for these sakura species instead! 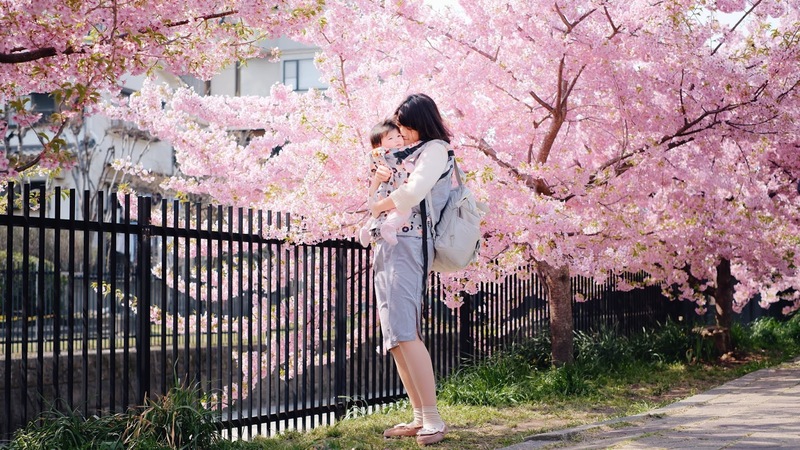 Your chances of catching kawazu sakura full bloom early to mid of March is high! Some prefectures are warmer than other parts thus speeding up the blossoms (Okinawa's Sakura blooms end of Jan/ early Feb while up north in Hokkaido is usually around mid May- early June), so if you missed the blossoms at your initial planned location (eg: Tokyo) head over to places like tohoku region, the colder the area the slower the blossoms (use IG to check Sakura status!). 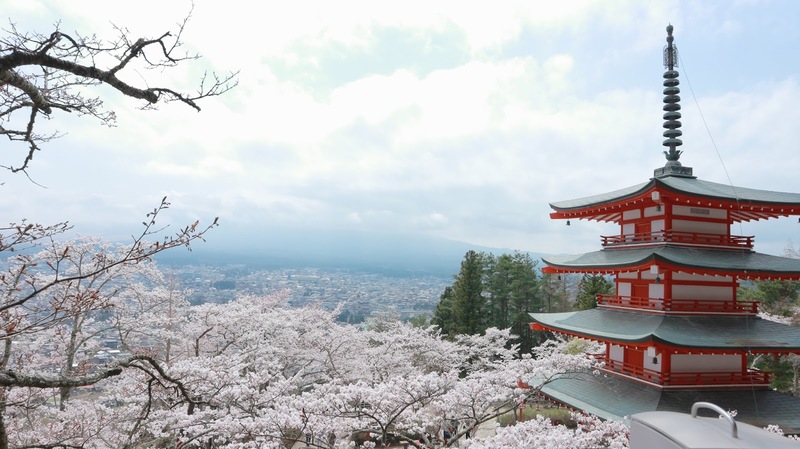 I remember arriving a week too late for Tokyo's Sakura peak last year, drove down to Yamanashi prefecture and caught it full bloom at Pagoda Chureito (Mt Fuji viewing spot). We all know one might get overly excited seeing so much Sakura flowers in one area but please be mindful of where you are stepping on, do not crush other plants below/ nearby the Sakura tree as they are seasonal flowering plants too! And please DO NOT TOUCH any part of the tree/ flowers, you can carefully take pictures together with it in close proximity but by touching it you may damage the flowers and that would prevent them from blooming again next year. It really hurts to see so many people being inconsiderate by pulling, holding these low hanging tree branches just for their photos. If this keeps up, in less than a decade we probably wouldn't have anymore nice Sakura trees at this rate. You can pick up the ones that has fallen on the ground, but never pluck one out! Hope this entry helps with your planning, and another last tip always check yearly Sakura forecasts to give you a rough idea on when their blooming periods are. It usually isn't too far from each other (a week earlier/ later at most from previous years) and book with an airline that allows you to change your flight dates once for free or with minimal fee (budget airlines don't usually allow to change & if they do they'll still charge you alot for it). I would highly recommend flying with ANA or JAL! Booked my Sakura flight with JAL for less than RM1400 both ways + 46kg luggage allowance last year, super worth it! Just make sure to book it like 6-7 months before hand and keep a look out for promotional deals. Sakura's peak is next week, so excited for it and Japan's gonna be super crowded but it's only once a year and less than a month we get to enjoy such a beautiful sight of spring. Happy planning & safe travels!